No matter how much you like your job, you probably know that raises are generally few and far between. Barring a promotion or some other surprise event in the near future, you need to become accustomed to your current level of income. Except, that’s not really the case. More and more, Americans are learning about the gig economy. If you could use a boost to your monthly income and don’t see any chance of receiving it during your normal 9-to-5, this might be the way to go. 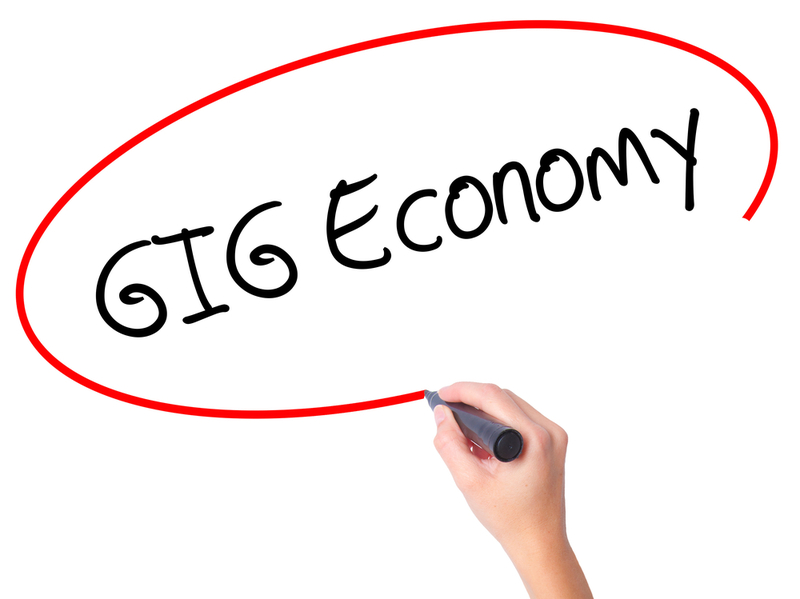 The gig economy refers to work you can do on a freelance basis. In other words, you’re not officially the employee of another company. Instead, you’re an independent contractor. However, gig work often doesn’t even involve a formal contract. Many people freelance full time, of course, but the gig economy also encompasses those who work 40 hours at one job and then put in a few more on the side. Now, if you’re a bit worried because you can’t imagine what kind of gig work you’d qualify for, don’t worry. There are all kinds of ways you can make money on the side even if you lack a marketable talent. Uber might be the most popular example. If you have a car and a smartphone, you could be making money in your free time. Another option is Airbnb. If you have a place someone can stay, you can rent it out for some extra cash. For an even bigger boost, let them have the entire place while you go stay with a friend. You two can even do this on a regular basis and split the money. Airbnb and Uber are just two ways the vast majority of people can increase their income, but there are plenty of others for those with some kind of talent they can put to good use. Don’t count yourself out right away, either. Even if you don’t think your resume is too impressive, there’s a good chance you know how to do something that could turn a profit. At most, you may need to invest a bit of time into your skill. If you are okay with words, consider studying copywriting. If you have an eye for style, learn some graphic design. The list goes on and on. These are just three of many. They’re also good places to do some research. You might be surprised what people will pay you for. One of the best reasons to join the gig economy is to put money aside to save for retirement. Like many people, you may have fallen a bit behind. Working freelance a couple hours a week can help you catch up in a very short period of time. With the gig economy, it’s all about starting slow and learning the ropes. If you want help figuring out what to do with your new paychecks, though, contact Mooney Lyons. The opinions voiced in this material are for general information only are not intended to provide specific advice or recommendations for any individual. Uber, Airbnb, Freelance, Upwork and Fiverr are not endorsed by or affiliated with LPL Financial.